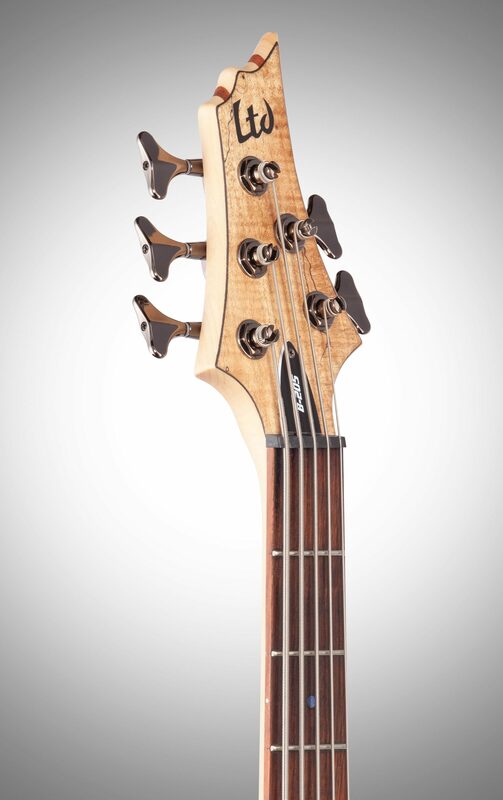 Once you shoulder your ESP LTD B205SM five-string electric bass, your fingers won't be able to get enough of what this battleaxe has to offer. Powerful ESP-designed SB-5 pickups keep your output warm and clear of mud, and three-band EQ controls keep your signal sounding its best for all occasions. 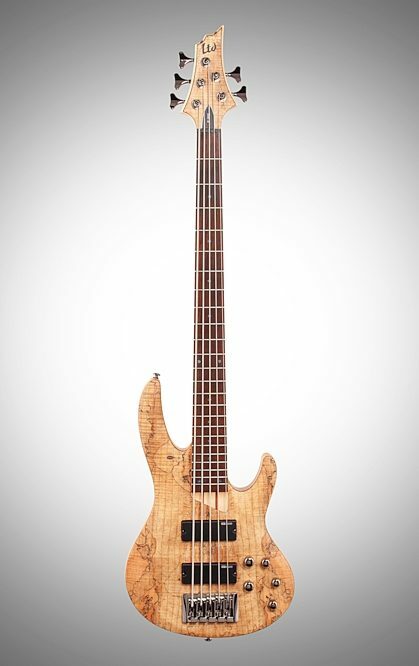 A comfortable ash body with an eye-catching spalted maple top gives you plenty of well-balanced resonance, and a five-piece maple/rosewood neck harnesses 24 XJ frets over a smooth rosewood fingerboard. Get more melody out of your performance -- pick up this ESP LTD and see what five strings of awesome bass tone can do for your sound. As a tonewood, ash tends to have a dense and heavy characteristic to it and will yield a warm and evenhanded resonance across the lows, mids, and highs. Maple is a reasonably strong and resilient wood -- a good shield that holds up well to scratches and dings. Maple tends to bring in a pleasant rounded brightness that's never too harsh, but always on your side when you want your sound to stand out. 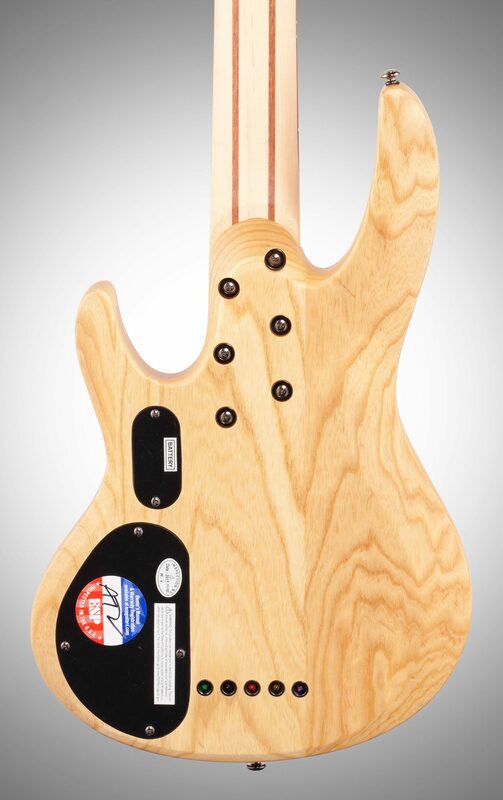 This tonewood pairing is a popular choice, and your first amplified note will show you why. Five-string basses bring more melodic possibilities to the table, and your pair of ESP Designed SB-5 pickups are ready to forge your signal. No matter how low or how high you go on any of this bass's 24 frets, every note will maintain a warm and well-balanced character without any mud, buzz, or annoying electronic interference. Make sure to take advantage of the three-band EQ controls to shape your sound. The balance control dial determines the right mixture of each pickup for a wide-reaching span of tonal possibilities. Wrap your hand around your ESP LTD B205SM's maple/rosewood neck and feel the music ooze from your fingertips to your amplifier. 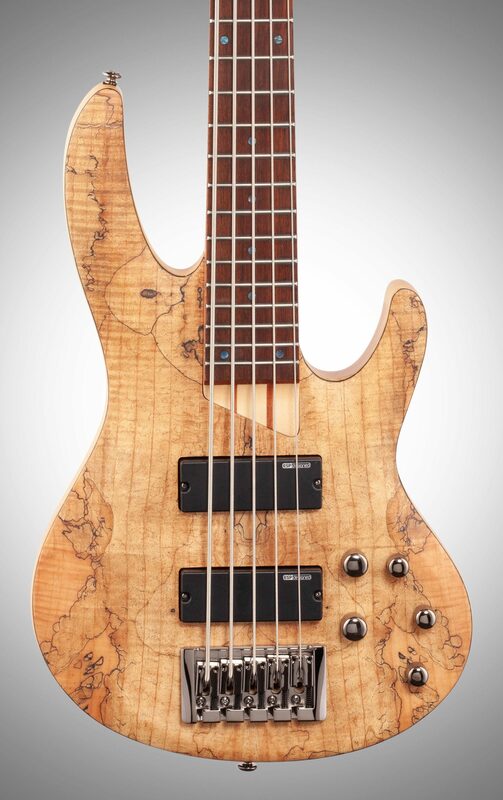 Maple brings in that biting snap when you hit it hard, and rosewood has similar tonal tendencies to mahogany -- a nice push on the middle and lower frequencies along with a helpful dosage of sustain. You have five strings at your disposal stretched over 24 XJ frets that each feature a comfortable action. This neck's extra thin "U" contour rests comfortably in your hand, so you'll enjoy hours on end exploring what this five-stringed baddie can dish out. Anchoring all five strings down is your B205SM's LTD BB-605 bridge, helping your strings ring out longer and maintain their intonation over those endless jam sessions. This bridge utilizes a through-body setup, which yields greater sustain and a more seamless transfer of sound and overall resonance. 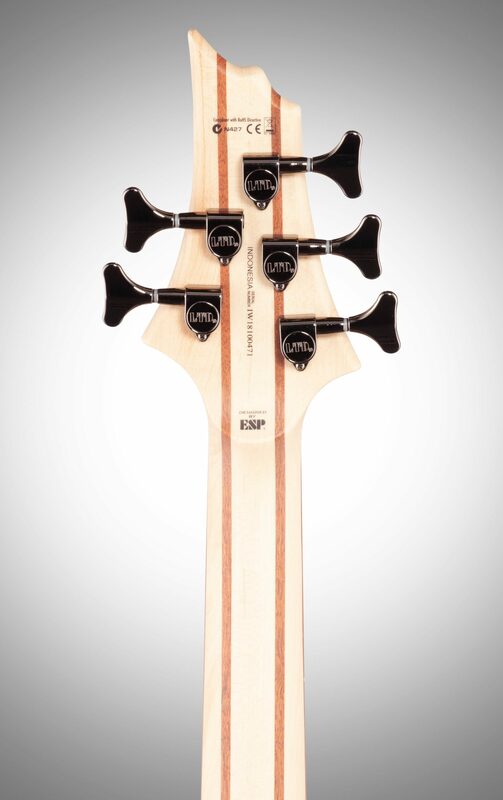 - Scale length of 34"
zZounds is an authorized dealer of ESP products. The distinct, natural appearance of the Spalted Maple top on the ESP LTD B205SM 5-String Electric Bass Guitar provides a gorgeous look that isn't too flashy. ESP designed this incredible instrument with an Ash body for the ultimate in punch, clarity and sustain while the 5-piece Maple/Rosewood Neck adds stability and a great look of its own. The B205SM yields ultra versatile tone thanks to dual ESP SB-5 pickups and ESP designed ABQ-3 3-Band Active EQ. "B205SM A true "Diamond in The Ruff""
16 of 16 people (100%) found this review helpful. Did you? 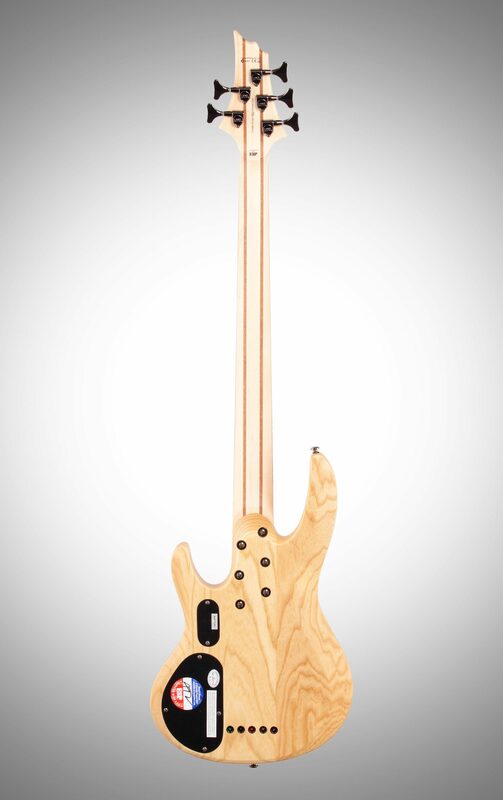 Overall: I ordered this bass from another company last week and I was greatly disappointed in what I got. Made in China. The neck joint was sloppy and cut wrong and the bridge which is a string thru body type didn't match-up at all. There were several dead note on the neck and the neck was bowed. Needless to say I sent it back. The bass that I ordered from zZounds was 10 times better and was made in Indonesia. There is a difference I can tell you that. The overall construction is better and the fit and finish is well above par. 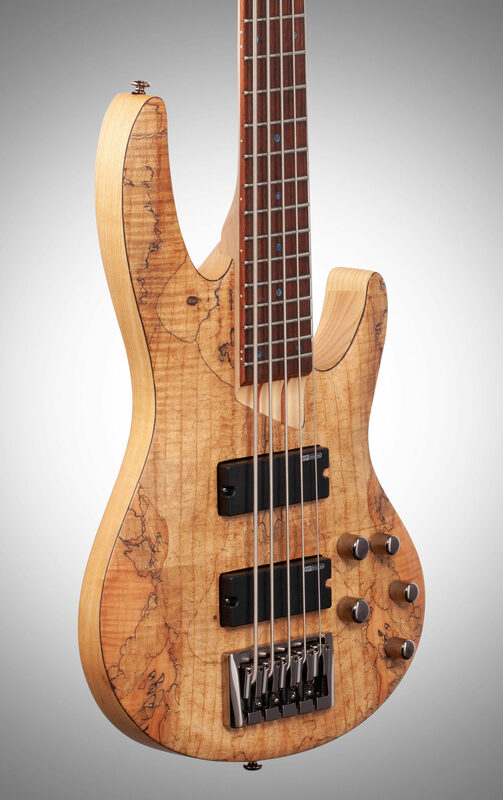 I really like this bass and intend to make it my main ax. 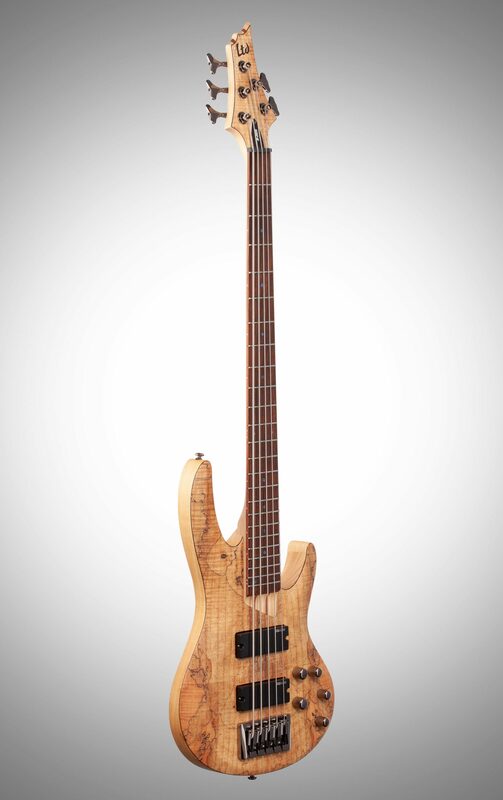 For the money you can't go wrong with this bass just as long as you get one made in Indonesia. You can dial in just about any tone you want and the sustain is right up-there with the big boys. I would highly recommend this bass to anyone who wants a good first five string. The people at zZounds were great and understood what I went thru with the made in China bass. Thanks zZounds for a fine product. The only reason that I gave the manufacturer support a 1 rating is that I haven't had to use them yet. Only time will tell. Overall rating is a high 5 for this bass. I will agree with one comment, it is a heavy weight. Style of Music: I play mostly country, but I also play alot of the old classic rock tunes as well as Gospel.